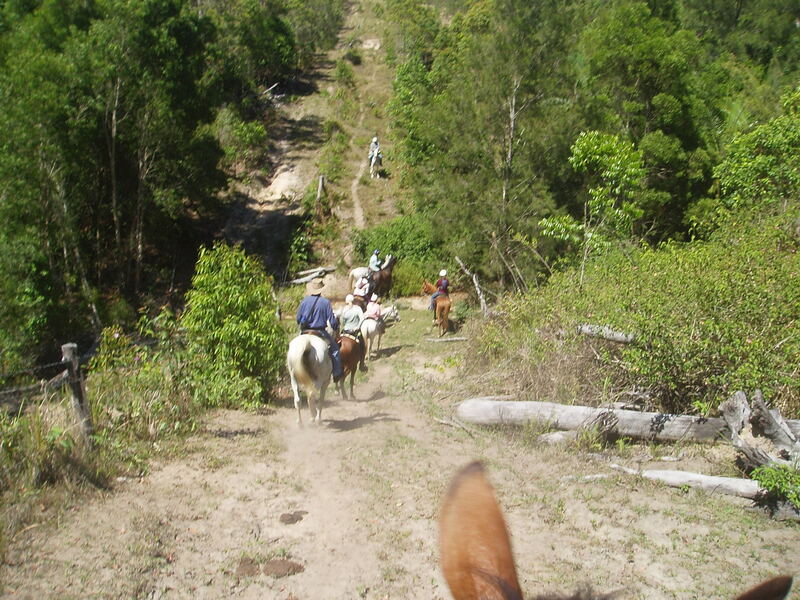 Name: Breakaway Horse Riders Club Inc.
Breakaway Horse Riders have been promoting Trail Riding and Endurance in the Mackay District in Qld for 31 years. That's quite a vision our founding members had. We decided to give ourselves a bit of a birthday bash in 2016 and we shouted ourselves to a revamped logo that captures our 30 years of endurance (see the rider's bib number),our passion for trail riding and the bush. We have had many great rides, made many friends and have many many great memories. Join with us this year and help us to enjoy the many events our club runs. These range from moonlight, day rides, various camps, endurance, teampenning and education clinics. We are also planning a 5 day moving BNT ride this year so there is plenty of quality riding and fun to be had. Email Roxy Aprile at breakaway.sec@gmail.com for info about our club & find us on Facebook by searching for Breakaway Horse Riders Mackay. Check out our club brochure uploaded to this site. Vision: to keep finding ways to make riding more fun and to encourage more junior riders to be involved. THE HISTORY OF OUR CLUB. Breakaway Horse Riders Club Inc. (previously known as The Breakaway Trail Horse Riding Club) had it's origins in the Kuttabul District and has been going strong since 1986. Past & founding member, Ross Dodt, after some research, put pen to paper and wrote the following. PRE 1986 – The Breakaway Trail Horse Riding Club had it’s origins in the Kuttabul District. On 9th June 1986, Graeme Cameron & John Fry attended a meeting of the Kuttabul Sports Club. The Kuttabul Sports Club involved a small band of district families who were primarily concerned with the development and promotion of sport for district residents. Football and cricket were the main sports. The district also boasted soccer, indoor cricket, tug of war and softball teams as well as organised boxing tournaments. Mention is also made in their minutes of a donation from the Kuttabul Rodeo Club. Apart from being Kuttabul residents, the reason for the attendance of Graeme and John was to seek support from the Kuttabul Sports Club to promote Trail Horse Riding. In 1985 Mirani butcher, Les Butterworth, member of a well-respected family with horse and cattle interests, organised a horse ride from Nebo to Pinnacle. An overnight stop was made at the ‘Old Bikies’ hut on Waldons property. This non-profit ride was supported by over 100 riders. Local media gave outstanding support with film clip from this ride used in later promotions by North Jacklin Motors and Mackay Tourism. In 1986, Les organised a second rid'e. This ride a ride on behalf of Tracey Petersen an entrant in the Cattlemans Union Miss Charity competition. Money raised was donated to the multiple sclerosis foundation. A 250km endurance ride, promoted by the Stockmans Hall of Fame committee based in Longreach, was also stirring the Australian public in the lead up to the Bi Centenary celebrations in 1988. "The trail ride held on the 12th & 13th July went well. Due to the horses breaking out the clubs name was formed – BREAKAWAY. 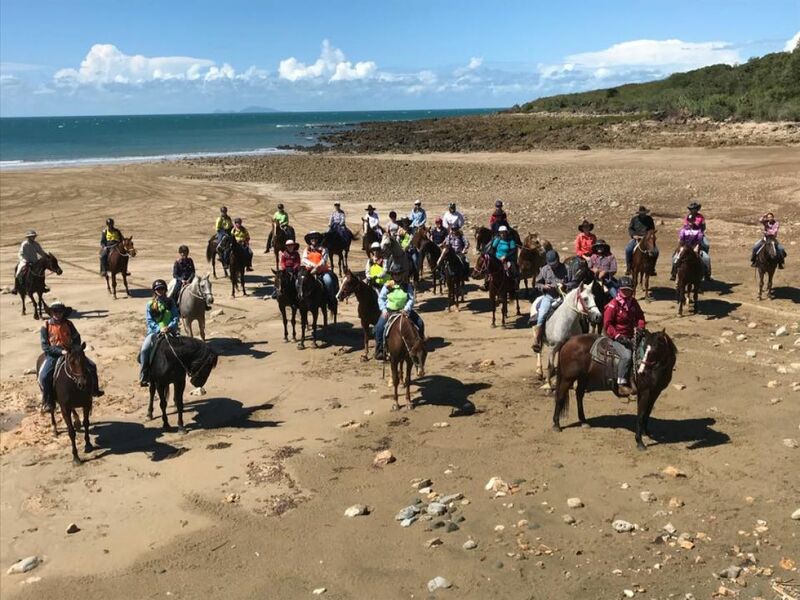 Twenty eight riders turned up and some from Mackay"
The next activity was a ride from the Mackay Showgrounds to Greenmount Homestead to raise money for the Cancer Foundation. "As there weren’t enough members at the meeting it was decided to close the club for 1986, hoping that 1987 would have new and interested members." While the Kuttabul sports club was running out of energy the Breakaway group was busy planning a "camp out’ Christmas breakup. This was held at Oakdale station on 14, 15th November. The aim was to check the suitability of Oakdale as a venue for an endurance ride. The first raffle of 10 cartoons of beer was also organised. Breakaway Horse Riders Club Inc. - updated group, Breakaway Horse Riders Club Inc.